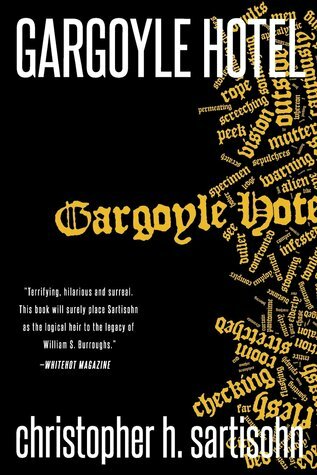 Christopher H. Sartisohn's experimental novel Gargoyle Hotel is the first installment in his Carbon City Trilogy, an avant-garde collection fusing postmodernism, surrealism, slipstream, stream-of-consciousness and Beat literary movements. Gargoyle Hotel was published in 2014 by Carbonize Press in Victoria BC. Terrifying, hilarious and surreal. This book will surely place Sartisohn as the logical heir to the legacy of William S. Burroughs."